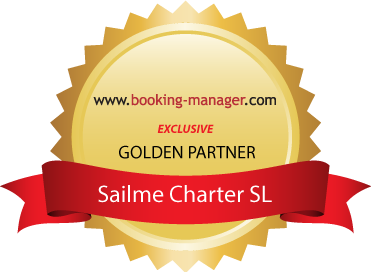 SailMe.eu » Get ready for the best sailing of your lifetime! Get ready for the best sailing of your lifetime! We provide bareboat, skippered and cabin charter. You can join one of our trips from our schedule or we can make an individual cruise upon your request in case of complete boat charter. We do our best. Best of sailing, of course. We took in account thousands of small things during planning our trips, because we believe excellence is always in details. We pick out the most beautiful places, lagoons and beaches. We check the parties` schedule over all clubs and suggest the best to our guests. We cooperate with locals and discover the islands from hidden side instead of popular touristic routes. We do all of this to make your week with SAIL ME absolutely unforgettable and one of the best weeks of your lifetime. From December to March we provide yacht cruises on Canary Islands and Atlantic Ocean. From April till October we sail around Balearic islands and Mediterranean. If you have any questions please check FAQ or Contact us. Please check our previous cruises! We provide both group and private sailing cruises. You can join existing trip from our schedule or we can make an individual upon your request in case of complete boat charter. Also you can book our fleet for a weekend or day charter. To book an individual scheduled cruise please contact us! And don't forget to check Contacts, Feedback & Photo. See you onboard!